Dog bites and animal attacks are dangerous issues. They leave people with physical wounds and often cause them to fear pets for the rest of their lives. In Jacksonville recently, a 6-year old girl had to be hospitalized after sustaining severe, life-threatening injuries from a dog attack. The child was unresponsive and transported to a nearby hospital. Unfortunately, after two days the little one passed away. Some breeds are more vicious than others, and the canine, in this case, appeared to be a pit bull mix. The family did not even own the dog. They were doing a favor and watching the pooch for a friend while they went away on vacation. It is fitting to increase awareness about dog bites because it is summertime. The kiddos are out of school, and they regularly have companions over for play dates, sleepovers, or video game sessions. A routine visit can turn into a catastrophe in a hurry. Dog owners are almost always held liable for their pet's actions in Florida. Regardless of how friendly your canine is, if people are coming over to visit, put them away in a kennel or another safe location. This action will protect guests and the pooch. After all, pets often become extended members of the family, and it is important to safeguard them from such events too. In many cases, they will be getting in trouble just for doing what they believe to be is right, which is protecting their family members. It is also a good idea to post "Beware of Dog" signs in clear, easy to see locations. While this may not always protect owners from lawsuits, it will at least notify guests of the potential danger. 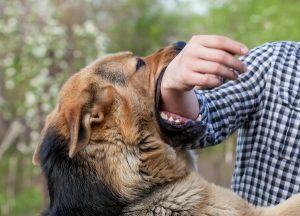 Florida is a statutory strict liability state, which means dog bite victims can recover financial compensation for their damages. If it can be proven that the visitor behaved negligently and contributed to the incident, the amount of liability that the owner is responsible for may be reduced. Our firm has more than 30-years of experience in representing the injured in southwest Florida. Service areas include Arcadia, Venice, Sarasota, Fort Myers, North Port, Englewood, Port Charlotte, Punta Gorda, and Englewood. Give our office a call or contact us via the form on our website if you believe legal assistance is in your best interest. The consultation is free, and clients only pay for the service if the case wins. So, don't delay any longer, and instead, get the help you need and deserve today.